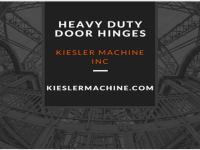 Understanding Different Types of Heavy Duty Hinges – Kielser Machine Inc. Heavy duty hinges feature conventional J bolt arms and a mounting plate. These hinges are used in high-traffic doors and heavy gates. Based on their mode of usage, the heavy duty hinges have a high frequency of opening/closing rate of more than 25x per day. The heavy duty hinges are differentiated on the basis of their load bearing capacity and material of construction. 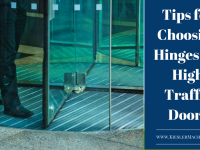 This blog focuses on the various types of heavy duty hinges used in diverse industries and places. Heavy Duty Door Hinges: These types of door hinges have extreme load bearing capacities. Generally, these hinges come with two leaves and a central knuckle. The leaf thickness varies from 3/8 to 3″, while the maximum radial load bearing capacity can be between 4000 lbs – 25,000 lbs. 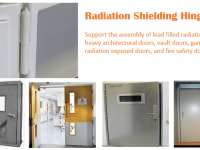 These doors are used in military and defense, nuclear shielding doors, R&D labs. Heavy Duty Gate Hinges: These hinges feature anti-sag and self-latching designs, which can be further padlocked for additional security. These gate hinges can support gates weighing 1,000 lbs. 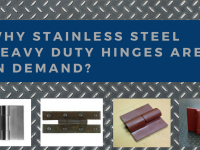 to 40,000 lbs.Generally, heavy duty gate hinges are made from carbon steel or stainless steel, which are durable, anti-resistant and anti-corrosive. Leaf thickness of heavy duty gate varies from 1″-3″, while the maximum radial load can be between 400 lbs. and 25,000 lbs. These hinges are used in chemical industry, refining industry and construction industry. 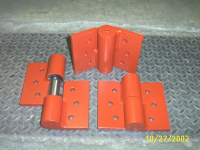 Heavy Duty Pivot Hinges: These hinges are generally used to attach the top and bottom part of any heavy door. These hinges allow doors to be opened and closed in both directions. Carbon steel or stainless steel are the types of material used for the construction of pivot hinges. 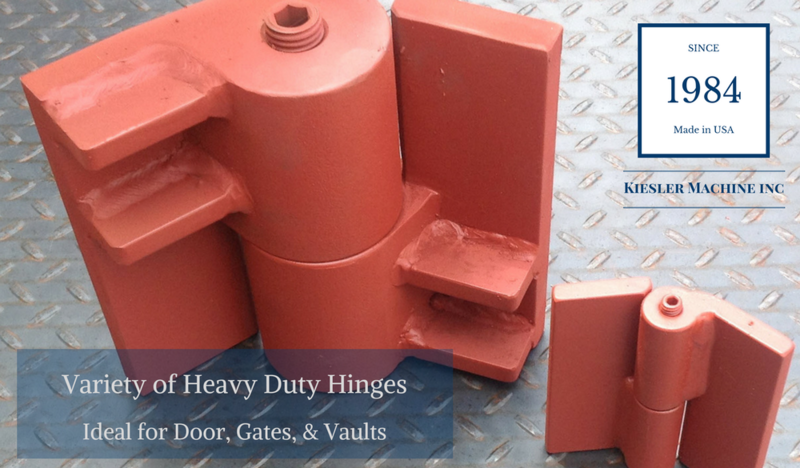 The heavy duty pivot hinges are designed for doors weighing 1,000 lbs. 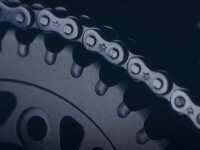 and 40,000 lbs Heavy duty pivot hinges find applications in industries like marine, petroleum, food processing industries, agricultural and many more. 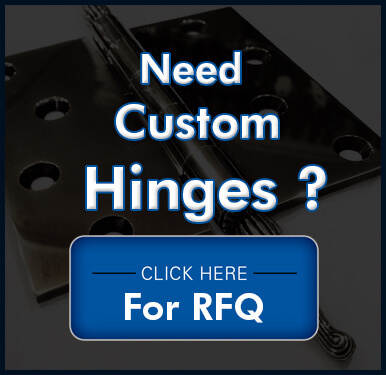 Heavy Duty Weld On Hinges: Heavy duty weld on hinges have excellent load bearing capacity, and thus are used in applications like machine doors, steel gates, electrical boxes etc.These types of hinges are offered in leaf thickness of 1/2″ and 5/16″, while the width is usually between 6″ and 6 1/2″. Carbon or stainless steel is the preferred choice for the material selection of these weld on hinges. These hinges can support door weights between 800 lbs. to 2,000 lbs. 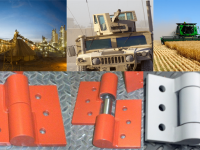 These hinges are commonly used in armored vehicles, fire doors, prison gates, shipment containers, and etc.